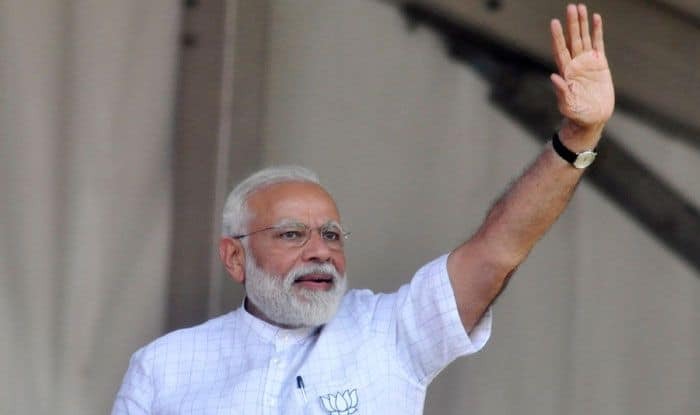 At a rally in Uttarakhand, PM Modi said that Christian Michel, the alleged middleman in the case, had hinted at the Congress' first family's involvement in the chopper deal. The ED’s supplementary charge sheet in the AgustaWestland chopper scam case raised the political temperature ahead of the Lok Sabha polls with Prime Minister Narendra Modi on Friday bringing it up to attack the Congress even as the alleged middleman Christian Michel claimed before a court he has not named anyone during the investigation. The Congress said the charge sheet filed by the Enforcement Directorate(ED) before a Delhi court on Thursday was a ‘cheap election stunt’ to divert people’s attention from the ‘imminent defeat’ of the Modi government in the polls while senior BJP leader Arun Jaitley insisted that the opposition party answer as to who were ‘RG’, ‘AP’ and ‘FAM’ in the documents cited by the probe agency. Michel, who alleged that the central government was using agencies for political agenda, filed an application before the court after reports appeared that the ED in its charge sheet named politicians of the previous UPA dispensation, defence personnel, bureaucrats and journalists as beneficiaries of kickbacks in the controversial defence deal. Alleging that Congress and corruption were inseparable partners, Modi told a rally in Uttarakhand that Michel has hinted at the Congress’ first family’s involvement in the chopper deal. Modi claimed that Michel whom his government had brought from Dubai had disclosed two names to his interrogators. “One was ‘AP’ and the other was ‘FAM’. ‘AP’ stands for Ahmed Patel and ‘FAM’ stands for family. Have you heard of Ahmed Patel? Which family is he close to? ” he asked the audience at the rally at the parade ground in Dehradun. Reacting to Modi’s veiled reference to him, Ahmed Patel, a senior Congress leader who has been former Congress President Sonia Gandhi’s political adviser, said it seems the ED has become an important part of the NDA alliance. He noted that such “antics” would not work as the public is demanding answers to unemployment, farm distress and sagging economy. “In this election season, it is pouring ‘jumlas’. Baseless and laughable charges are raining,” he tweeted in Hindi. “The chowkidar and his cronies have targeted the wrong place without evidence. The ‘dalals’ (middlemen) of Note ban and Rafale cannot escape now. The people will teach them a lesson. But, you must have heard the saying that a thief sees a thief in everyone,” Patel said. Addressing a press conference at the BJP office in Delhi, Jaitley questioned Congress chief Rahul Gandhi’s ‘silence’. “Right to silence is for accused not for the one who is dreaming to be the country’s prime minister,” the finance minister said, adding if no reply is given in case of such serious allegations, the country is “entitled to presume that no reply could have been given”. Contending that evidence is “overwhelming and needle of suspicion is clear”, Jaitley said he is demanding political answers to the allegations. “The more you suppress the truth, the more it spreads so it is necessary that reply be given by the Congress,” he added. The initials referred to by Jaitley were allegedly mentioned in Michel’s dispatches which are being probed by the ED and the CBI. Congress chief spokesperson Randeep Surjewala said a ‘panic-stricken’ Modi government is using ‘rehashed insinuations’ through its “puppet” ED, which it dubbed as ‘Election Dhakosla’ (sham) for ‘manufacturing lies’. “A single uncertified page leaked by ED of a purported charge sheet is a cheap election stunt to divert attention from imminent defeat of Modi government. The ED has become ‘Election Dhakosla’ of a government manufacturing a lie a day,” he told reporters in Delhi. Michel’s counsel appeared with an application before Special Judge Arvind Kumar who issued notice to the ED and sought its reply by Saturday when he will take up the matter. “Michel has not named anyone in his statement before the agency which is being leaked to media. This is only to make the matter sensational and prejudice the case against my client,” his counsel, Aljo K Joseph said. He claimed the copy of the charge sheet was provided to the media before it was provided to Michel. The application said that trial by a judge and free and fair trial rights override media rights and the court can temporarily curtail the freedom of the media to ensure that. “The court is duty bound to balance it. Even to ensure a free and fair trial the court can temporarily curtail the freedom of media to ensure free and fair trial,” it said. It further said that at the time of filing the charge sheet the counsels for the accused had asked for supply of its copies but it was objected to by the ED on the ground that the court has not yet taken cognisance of the charge sheet. “Since this court is yet to take cognisance of the charge sheet, it appeared that the ED has clandestinely provided a copy of the same to the media houses which were publishing the same in instalments only to sensationalise the issue and prejudice the accused named therein even before cognisance was taken by this court,” the application said.